In the last five years, there have been over 330,000 debt collection lawsuits filed in Utah. Over 98% of those sued don’t hire an attorney. And most don’t file a response. If you don’t respond to a lawsuit within 21 days, the judge will accept everything in the complaint as true. This is where SoloSuit comes in! SoloSuit asks a few simple questions about your case. Based on your answers, Solosuit prepares a response and instructs you on how to file. Responding to a lawsuit is the first step in defending yourself. SoloSuit can help you take that step and guide you to additional resources when you’re done. 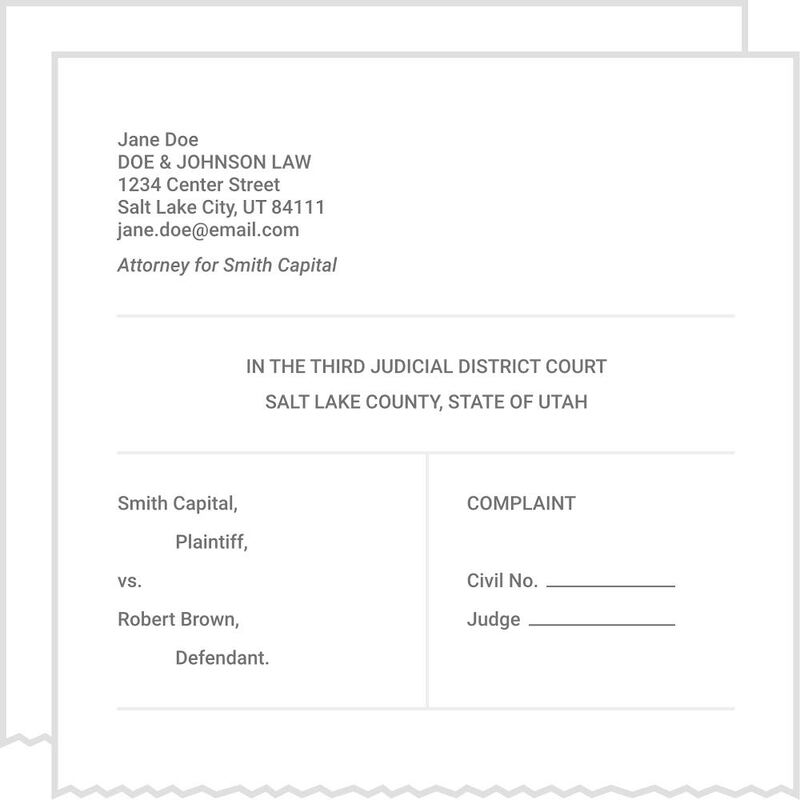 The software used by SoloSuit was developed by LawX, the legal design lab at BYU Law School.